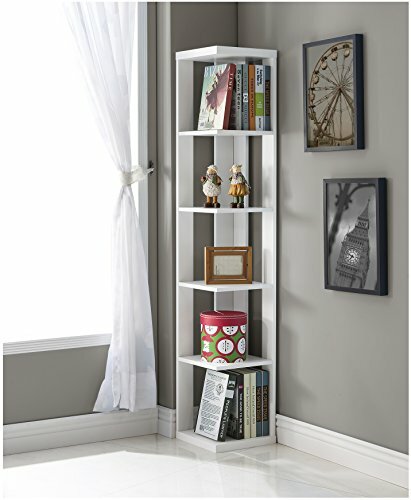 Wood wall corner 5 tiers shelves bookshelf bookcase is available in white finish. The height of the each shelf is 11-3/4-inch. Simple assembly required. Measures 12-inch length by 12-inch width by 64-inch height.